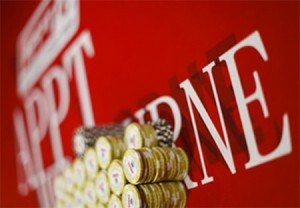 The Asia Pacific Poker Tour (APPT) Melbourne has begun at the Crown Casino. The series began at the start of the week with satellite and accumulate events and it will culminate in a Main Event over the weekend. With a $3,000 Main Event the APPT Melbourne is sure to provide a thrilling week and a half of poker. The $3,000 Main Event will last for four days beginning on Friday. However, it is not the only major event of the series, there are a number of other tournaments taking place over the next week and a half. One highlight will be the $350 Seven Game mixed event (H.O.R.S.E, No Limit Hold’em and Pot Limit) which will take place on Monday. This is followed by a $550 Pot Limit Omaha event on Wednesday and a No Limit Hold’em Six Handed event on Thursday. There will also be a Deepstack No Limit Hold’em event as well as a number of other Hold’em events. Last year’s Main Event was won by British poker pro Sam Razani who won $326,125. At present it is not known if Razavi will be returning to defend his title, but nonetheless it is sure to be a thrilling competition. Be sure to check back for regular updates over the coming days.